The N.C. 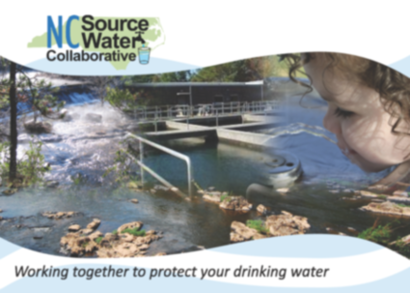 Source Water Collaborative (NCSWC) is a statewide partnership to protect drinking water. Founded in 2011, the NCSWC includes participants from non-profit organizations, university programs, state, local and federal agencies, professional associations, and regional councils of government. The collaborative's intention is to support strategies designed to preserve the lakes, streams, rivers and aquifers used for drinking water and the land that protects and recharges these sources of water.